Hey everyone! 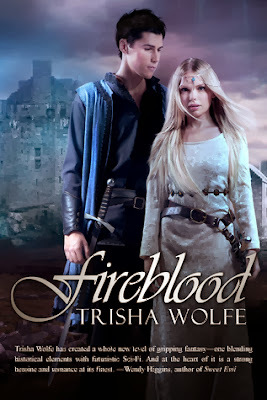 We are super stoked to announce this upcoming tour for FIREBLOOD by Trisha Wolfe, which releases on November 26th. This book is epic (Jaime read it already), its cover is absolutely absolutely gorgeous and we cannot wait for its release! The tour runs for two weeks Monday- Friday - November 18th through November 29th - and will have TWO stops per day, and will consist of reviews, guest posts and interviews. Printed ARCS (US only) and eARC's (via a netgalley widget) will be made available to those hosts chosen as reviewers. We are both super excited for FIREBLOOD'S release and we cannot wait to host the tour and help spread the word about it in November!